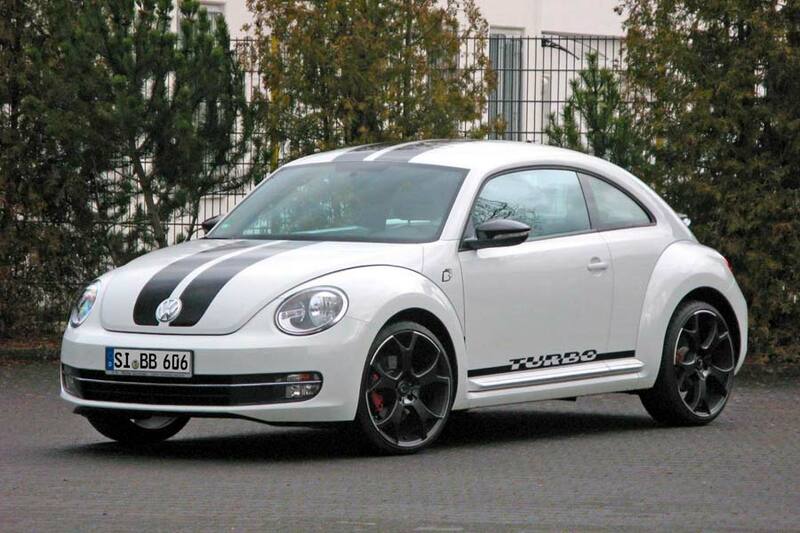 Birlenbach-based tuning specialist B&B Automobiltechnik has created a range of performance upgrades for the TFSI-engined 2012 Volkswagen Beetle. Producing 118 kW (160 hp) and 240 Nm of torque in stock form, a € 998 ECU upgrade and revised injection system yields 154 kW (210 hp), 300 Nm and a 222 km/h (138 mph) top speed for the 1.4 L version. Stage 2 costs € 1,498, and involves increased boost and a modified air intake, resulting in 165 kW (225 hp), 320 Nm and 225 km/h (140 mph). Stage 3 sees B&B add its own spec turbocharger, injectors and sports silencer. For your € 5,950 you get 176 kW (240 hp), 350 Nm and 230 km/h (143 mph). Moving on to the 2.0 L, which usually makes 147 kW (200 hp) and 280 Nm (207 lb/ft), the Stage 1K program sees B&B tweak the ECU for a return of 176 kW (240 hp), 340 Nm and 235 km/h (146 mph) for € 998. Stage 1S develops 184 kW (250 hp) and 340 Nm for € 1,498, while Stage 2 features another step up in boost and a full exhaust system. 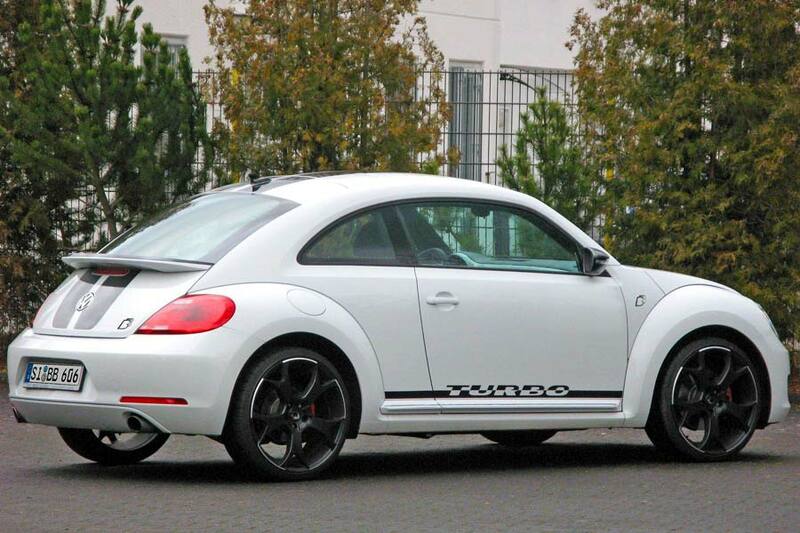 That € 2,950 option results in 195 kW (265 HP), 360 Nm and 240 km/h (149 mph). Stage 3 costs € 5,950 and sees the introduction of B&B’s turbocharger, complete exhaust system and new air intake, helping to release 217 kW (295 hp), 400 Nm and 245 km/h (152 mph). Stage 5 features the addition of a B&B intercooler and a racing exhaust system with sport cats. Priced at € 8,950, the output jumps to 235 kW (320 hp), 420 Nm and 258 km/h (160 mph).